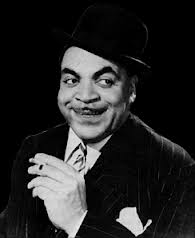 Fats Waller was a jazz pianist, organist, composer, singer, and comedic entertainer. He is known for his famous compositions, Ain’t No Misbehavin’ and Honeysuckle Rose. He was caricatured in Mother Goose Goes to Hollywood released in 1938. Ready to Suit Up and go 13.1 miles?